What were the criteria used in selecting programs for this map? The programs and initiatives included in this map are an effort to capture the extensive work and commitment that is happening nationwide to improve our health care system through enhanced primary care and patient-centered medical home (PCMH). Programs included are those that have described themselves as dedicating targeted resources (i.e. payment, personnel) to improve or enhance primary care services AND/OR have set specific health improvement goals for primary care teams across large regions or statewide for a population of patients (i.e. improving care for all children in the State). Individual medical home clinics, practices or centers are not included. 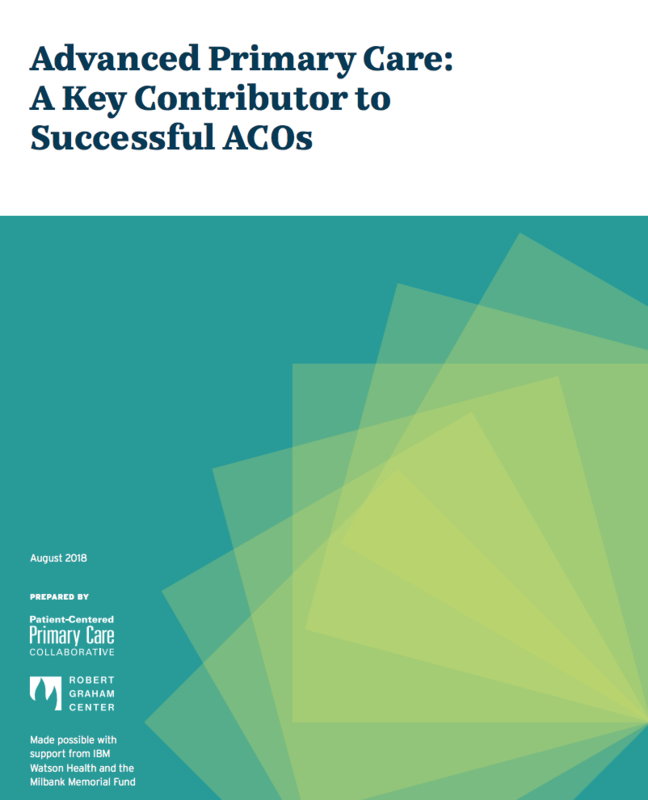 ACO's or similar arrangements are included if they have been publicly described as using the PCMH or ehanced primary care as foundational to those arrangements. Do all of these programs have “medical home” in the title? No. Programs included are using lots of different terms to describe the PCMH (medical home, health home, advanced primary care, etc.). Any program described as dedicating resources to enhance primary care services and committed to providing care as described in the principles of the PCMH are included. Do programs need to be PCMH certified to be included on the map? No. Many different types of criteria are utilized to determine a practice’s eligibility for participation in each program. Some use national standards and others have established their own quality and performance metrics. We encourage users to contact each program directly for more information on eligibility criteria. Where was the information on this map obtained? Program and state descriptions have been obtained through publically available information on program websites and documents related to the programs. Users are encouraged to follow the links provided to the original source of the information on each program page as well as links to other original documents in summary descriptions. What are the different “View” options? The programs are presented in several different ways. Users can use the “State View” to obtain a summary of private and commercial payer activity in the state, PCMH legislation and regulation, state facts, and participation in federal programs. Each state page also includes a list of programs in that state grouped by payer type (public, multi-payer, or private/commercial). The “National View” gives a presentation of where programs exist across the country. The “List View” provides users with a listing of programs by name, location and type of publicly reported outcomes. The “Outcomes View” allows users to access program evaluation data from various industry reports and peer-reviewed sources for advanced primary care and medical home initiatives included on the Primary Care Innovations and PCMH Map. A “Parent Program” is a program that is national in scope but is implemented across the state, region, county or local community. These locally-implemented programs are often included as components of larger PCMH-related initiatives in states. How can I search for specific programs? There are many options for searching and viewing the programs. The “National View” and “List View” both include several filters by which to sort the information including parent program, payer type and whether or not there are any reported outcome data from the program. Do you include past programs that have expired? Not usually. Grants and other programs that have expired are not included unless they have reported data or outcomes on their program that has been reported in a past PCPCC Annual Report. Several PCMH pilot programs that have officially ended have been continued or re-started through new sources of funding. Some have even been established as permanent programs. Yay! Did you include programs providing training and technical assistance to practices? No. Programs providing ONLY training and technical assistance to practices on strategies to become PCMH are not included (e.g. time-limited PCMH learning collaboratives, quality improvement training, population management tools). Plans are underway to include these programs and services on the PCPCC website in the near future. What does the “State PCMH Activity” grid on each state page show us? Our objective is to provide a succinct overview of medical home activity for each state including public and private programs and legislation in support of PCMH. The grid provides a snapshot of current PCMH activity as illustrated by the blue checkmarks. A gray “X” indicates that the state is not actively participating in that program/category. Children’s Health Insurance Program Reauthorization Act (CHIRPA) Quality Demonstration Grants are focused on quality improvement and implementation of innovative health care delivery systems in the Medicaid and the Children’s Health Insurance Program (CHIP). Multi-Payer Advanced Primary Care Practice (MAPCP) is a CMS demonstration in which 8 state Medicaid programs are partnering with both CMS and private insurers to improve access to primary care and improve health care costs and outcomes. CMS estimates that at the end of the three-year demonstration project approximately 1200 participating medical homes will serve over 900,000 Medicare beneficiaries. Through the CMS Dual Eligible Demonstration, there are currently 11 states that have signed a Memorandum of Understanding with CMS to design care coordination and payment reform initiatives that will serve their populations eligible for both Medicare and Medicaid. Authorized by the Affordable Care Act of 2010 (Section 2703), states are able to use the Medicaid State Plan Option for the establishment of comprehensive Health Homes for coordination of care for those with chronic conditions. Health Home providers are responsible for the coordination and integration of primary, acute, and behavioral health, as well as long-term services in order to support the “whole person” philosophy of care. The Comprehensive Primary Care (CPC) Initiative is a CMS funded initiative that incorporates multi-payer payment reform for public and private payers, with a strong focus on coordinated primary care for Medicare beneficiaries. CMS State Innovation Models (SIM) support the development and testing of state-based models for multi-payer payment and health care delivery system transformation. These initiatives focus on individuals enrolled in Medicare, Medicaid, and CHIP. Many states have incorporated PCMH in their State Innovation Plans. States with state-based or partnership insurance marketplaces had the opportunity to include state-specific language pertaining to the minimum requirements for Qualified Health Plans (QHPs) sold on their exchanges. The grid documents which states have elected to include PCMH language in the state standard requirements of QHPs sold in their state. A description of legislative language supporting PCMH in a state’s QHP can be found in the state description above the grid. The PCMH legislation column refers to any active legislation that includes PCMH language. A description of and links to the specific PCMH legislation can be found in the state description above the grid. The private payer column refers to any state that has a commercial health plan that is implementing a PCMH or enhanced primary care program. What other resources can I consult when researching medical home programs? Who do I contact with comments or questions or with additional programs to add to the map?